Dominic “Junie” Verquer has been a fixture in the Trinidad, Colorado community for many years. As a lifelong resident, it is hard to go anywhere in town without running into people who know Junie. 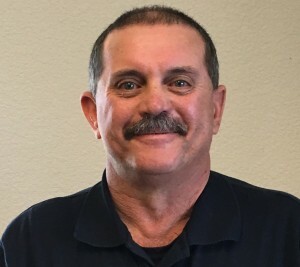 In addition to being an EMT+ and the Public Outreach Coordinator for Trinidad Ambulance, Junie is also the County Coroner and is the Secretary/Treasurer of the Hoehne Fire Protection District. Junie’s life has been filled with examples of his dedication to community service and volunteerism. Junie exemplifies the qualities of a true Star of Life. He is always ready to help, regardless of the time of day or the weather, and always without remuneration. The Trinidad Ambulance District wouldn’t be what it is without Junie Verquer. We are proud to call him our colleague and our friend, and to recognize him as the Trinidad Ambulance District’s Star of Life.